Hold onto your hats, but we’ve got some shocking news about David Ortiz tonight. On Saturday night in Texas, Big Papi — the undisputed king of the tater trot — gave us his third 30-second tater trot of the season! After setting the record for slowest Tater Trot on April 9 and then following it up two weeks later with his second half-minute trot of 2014, David Ortiz is at it again. 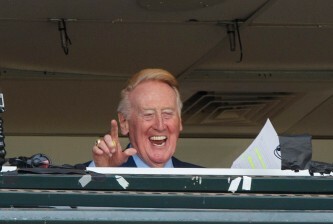 On the first pitch of the third inning, Papi crushed one into right field and circled the bases in a way only he can. When all was said and done, Ortiz finished his trot in 31.09 seconds. 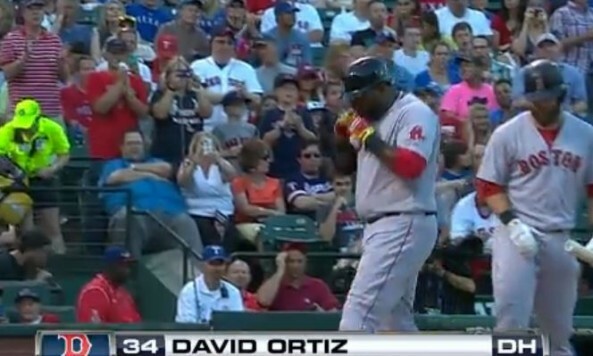 View David Ortiz’ third 30-second trot of 2014 here. There was nothing odd or exceptional about the home run that would have led to such a slow trot. The ball was an easy home run with no confusion over fair or foul. Papi didn’t stutter at the plate or trip up going around the bases. The only sign that this might be another trot for the ages was how Ortiz shuffled his feet heading into second, but that’s pretty common from Papi. Still, at 31.09 seconds, tonight’s trot is the fourth slowest non-injury trot of the Tater Trot Tracker era. And, of the eight 30-second trots since 2010, Big Papi is responsible for exactly half of them. No one savors the moment better than David Ortiz.